Have you been wanting to buy a pair of wild socks from a grown man wearing a Girl Scout uniform? So have I. You need to visit Foot Cardigan! 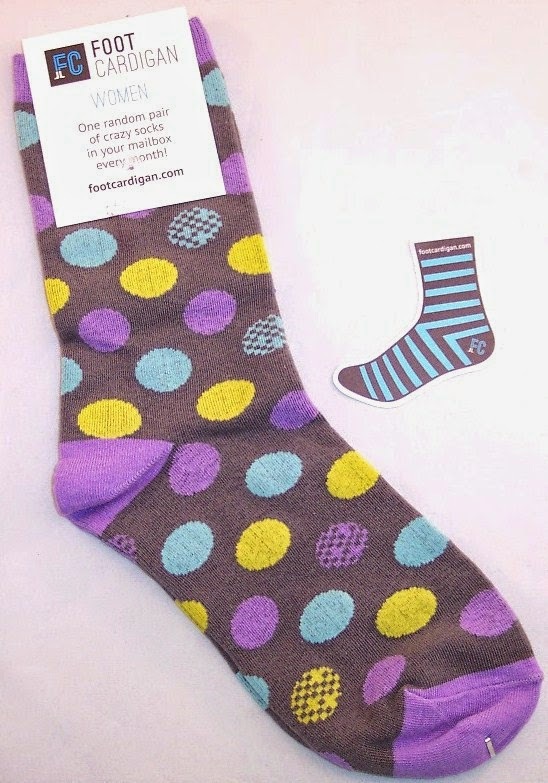 Their site is wacky and irreverent and definitely the place to go to up your sock game. Do you get to choose the socks you'll receive? Of course not. That would take all the fun out of it. All they'll promise is that you'll get "weird, crazy and unexpected" socks. Since I'm in a "weird, crazy and unexpected" phase myself, I signed up immediately. For the most part, Foot Cardigan just has one size sock for men and one size for women. (Kids' socks come in three different sizes.) Men's socks fit up to a shoe size 12 and the women's socks fit shoe sizes 5-10. If you do get a pair of socks that don't fit, you can send them back for a replacement. As for design, all they'll say is that many of their patterns are gender specific. If they have a design that works for both men and women, then everybody gets that pair. Foot Cardigan is good about shipping quickly for new orders. My first pair of socks came six days after I placed the order. They try to ship subsequent orders on the same day of the month that you first signed up. My January socks arrived packaged in a clear plastic wrapper inside a poly vinyl mailer. They are charcoal gray with big polka dots in lavender, chartreuse and light blue. The top hem, heels and toes are solid lavender. They are private labeled with the Foot Cardigan brand. For some reason, a foot sticker (or is it a tattoo) was included. These socks are weird and colorful with plenty of personality but not so much that they veer off into "awful" territory. I like these socks and the way they add character to my sock drawer. They are soft and stretchy and made of 75% combed cotton, 20% polyester and 5% spandex. I'm pretty sure I couldn't just walk into Macy's or Target and find a pair of socks like these. If future shipments are equally wacky, I'll be a happy camper. By the way, Foot Cardigan has an interesting side operation. They occasionally offer "small batch design" socks for individual purchase. These are available in limited quantities and won't be included in the regular shipments. Judging from the ones I've seen, these are WAY out there fashion-wise and are NOT for the faint of feet. The ones they are featuring right now are bright aqua knee socks with a pattern of penguins all over them. These are called "Oswald Cobblepot" (don't ask me, it's a comic book thing). These come in men's and women's sizes and for just $13 a pair, you too can own them! (I'd really like to see the guy that can pull these off.) Click here if you're curious. So if your feet could use some fun, check out Foot Cardigan! While we're at it, isn't that one of the best subscription company names ever? P.S. I don't normally suggest reading about the individuals behind a subscription service but the write-ups about the people who run Foot Cardigan are quite amusing and worth a quick look! Click here if you're interested. 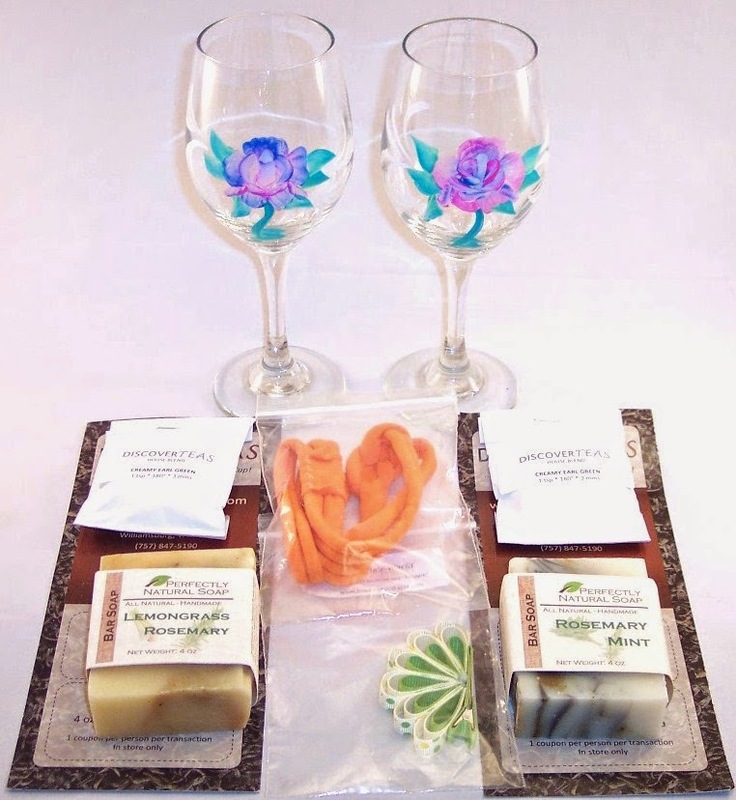 Destination subscription boxes are among my favorites to receive....like mini vacations but without the hassle of travel and a lot less expensive! Hammock Pack sends a monthly getaway box full of products geared towards women that represent a certain U.S. state or city. The boxes may contain bath and body items, food, housewares, accessories, etc. Hammock Pack items are unique hard-to-find things that come from small businesses in the featured area. Each Hammock Pack costs $32 which includes shipping. You can sign up for one month, three months or six months but there are no long term discounts. Boxes are shipped out towards the end of each month. January's featured destination is Tennessee. Since this is my first Hammock Pack and I know it will be a new one for some of my readers, I'll include full unboxing photos. Hammock Pack is shipped in a plain cardboard box by USPS Priority mail. My box weighed about two pounds. 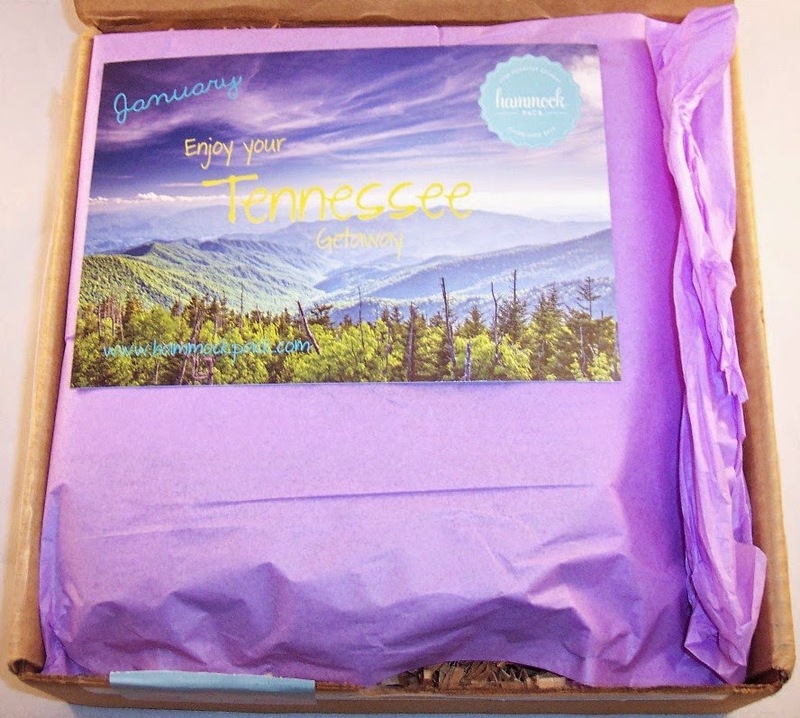 The contents were wrapped in lavender tissue paper with an "Enjoy Your Tennessee Getaway" card on top. I save every last crinkle shred to use for shipping my own eCommerce orders. Thanks to subscription boxes, I have a considerable supply accumulated! Inside the box are four products. 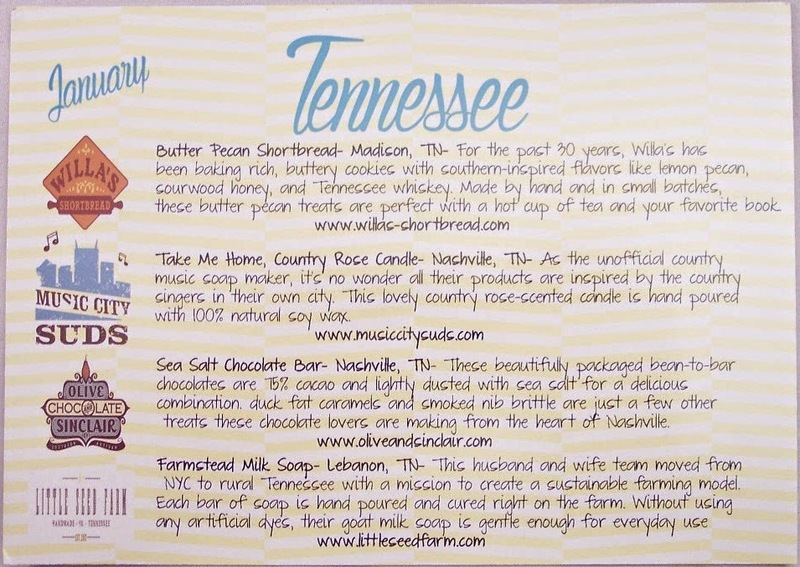 The back of the information card gives the name and origin of each product and tells a little about it and the vendor. 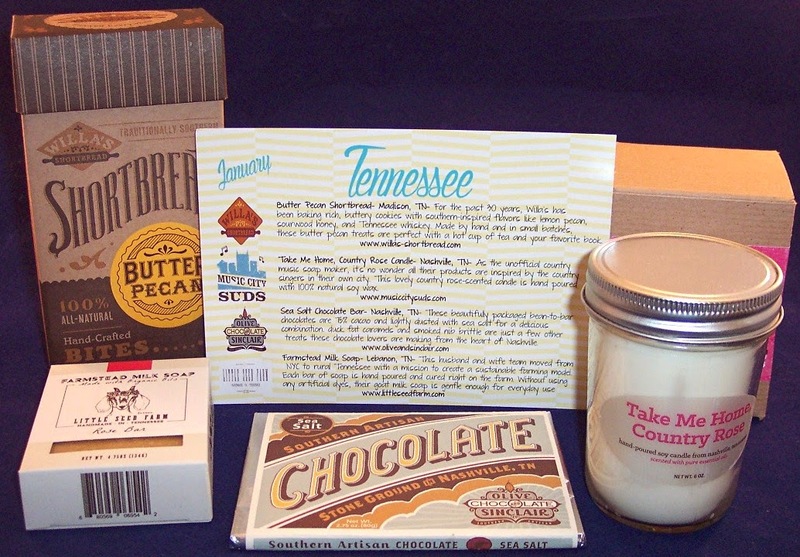 All four products in this box are of the best quality and I thought the curation for the Tennessee theme was excellent. These are all items that I can enjoy or gift with no hesitation. The retail value of the box is $31.74. 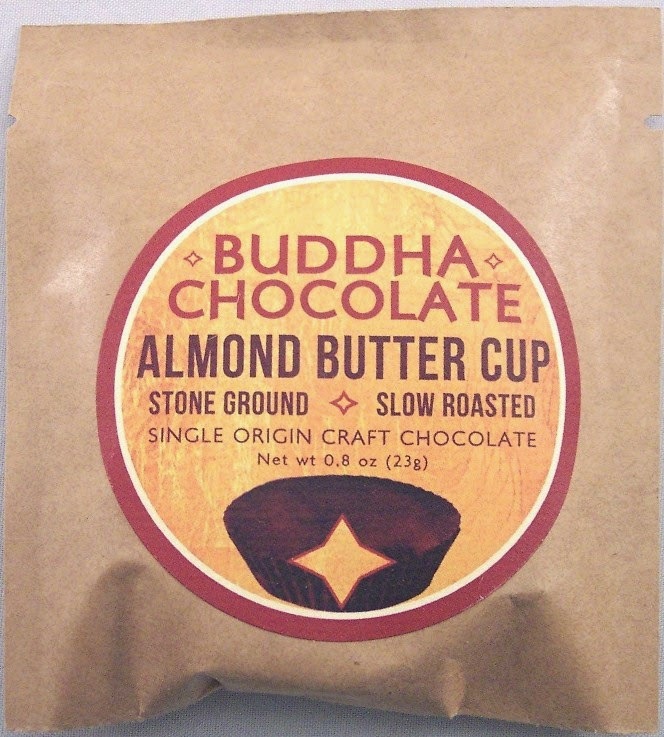 I know that subscriptions featuring small batch artisan goods typically do not have high retail values but I would like to have seen this one a little higher, perhaps with a fifth product. As it is, subscribers basically paid full retail for these four products. Overall, I'm happy with my first Hammock Pack. However, since there are no promotion codes or long term subscription discounts available at the moment, there really is no incentive to subscribe. From reading reviews of earlier boxes, I see that the quality of products in Hammock Packs is consistently good so I may just purchase a single box whenever I feel like a little luxury. Of course, I am wondering about Hammock Pack's destination for February....aren't you? 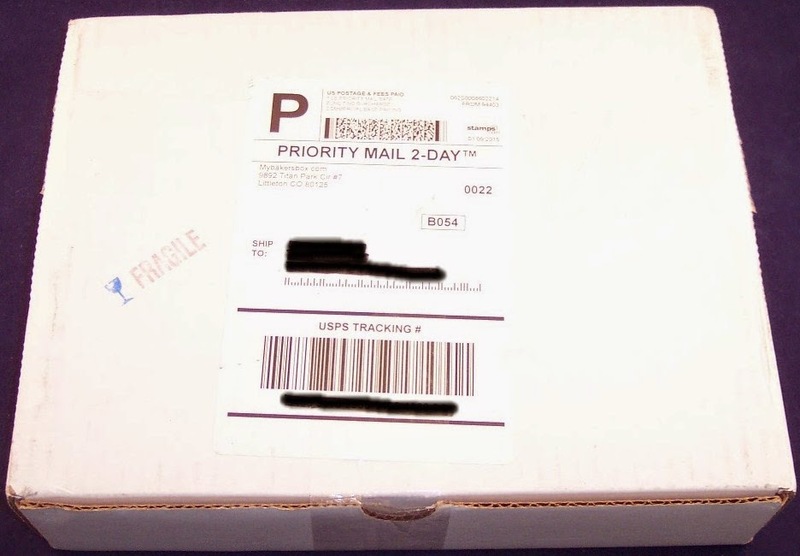 My Community Box (Hampton Roads) January 2015 Review - What's Going On? This may be my last review for My Community Box. 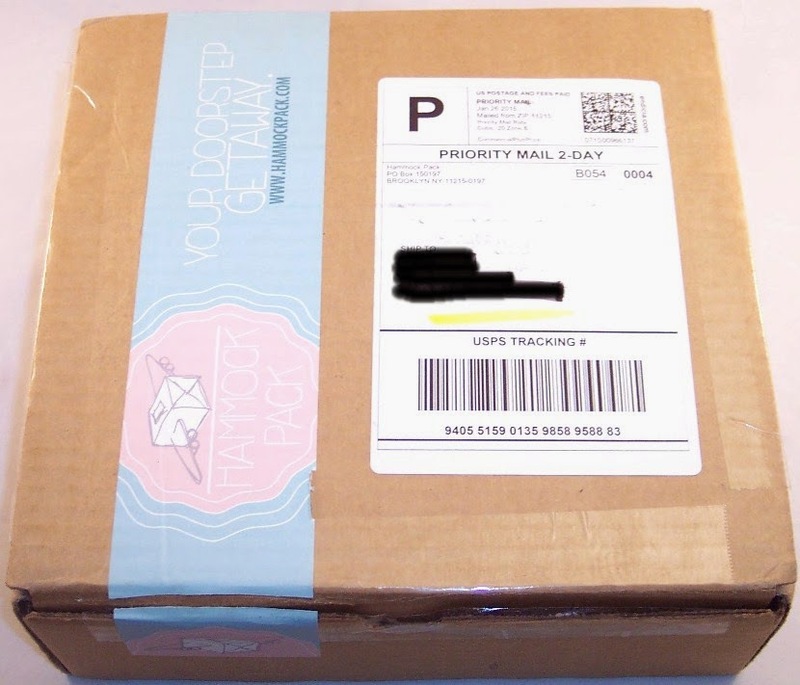 Their January box does contain some nice items but almost everything seems to be out of stock on their site and I've been unable to locate a Facebook page for them (a bad sign). So I'm really not sure where things stand with this company. Adding to the confusion are the inconsistencies on their home page. There are windows which state that the July, October, December and January boxes are "open", but clicking on any of these results in what appears to be a blog post with no actual ability to purchase these boxes. Clicking on the "Join" button on any page just leads to "Out of Stock" and "Sold Out" buttons. Just a few of the individual items in their shop are actually available for purchase. I don't know if these are just site maintenance issues or if this company is circling the drain. They seem to be using "open sign up" periods which is an awkward way to run a subscription business. Potential customers aren't likely to visit the site repeatedly to see when they can actually sign up, especially for a subscription service that is not well known. Setting aside these reservations, I was pretty happy with the contents of the January box which showed improvement over the holiday box and even more improvement over the Fall box. 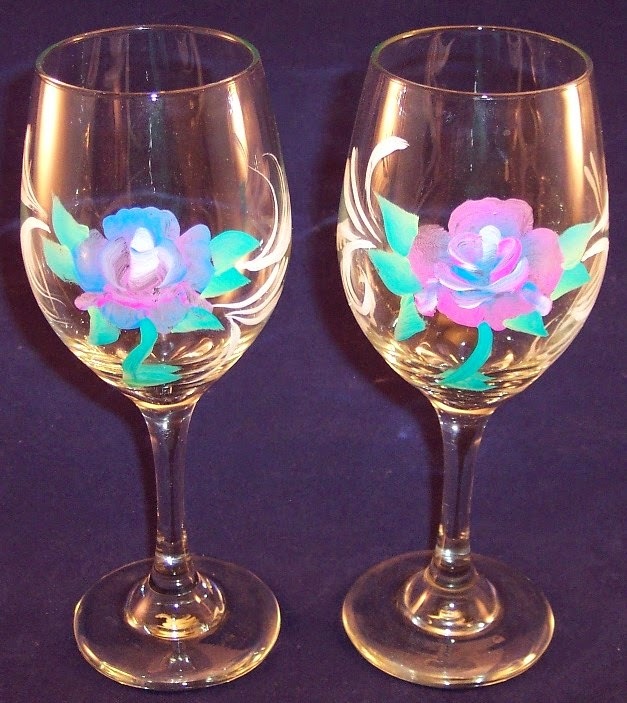 These two hand painted goblets come from an Etsy vendor named Sweet Surrender Art. Two similar goblets came in the last box but these are a different shape and the pink and blue rose design is quite pretty. 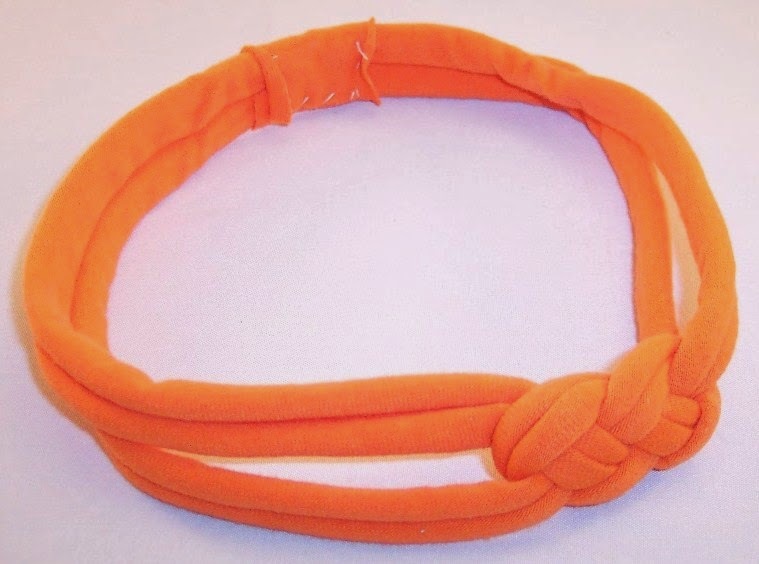 I don't see any vendor source on this one but it is a handmade headband. I'm guessing this came from an Etsy vendor but I don't know which one. 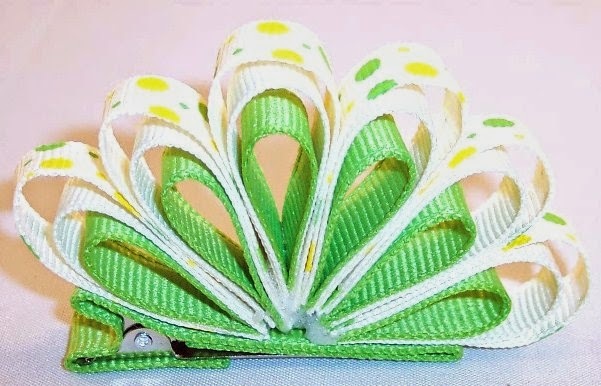 Here's a really cute girl's hair clip made from green, white and polka dot grosgrain ribbon. This is from Froggie's World on Etsy which doesn't seem to exist at the moment. There are two 4 oz. 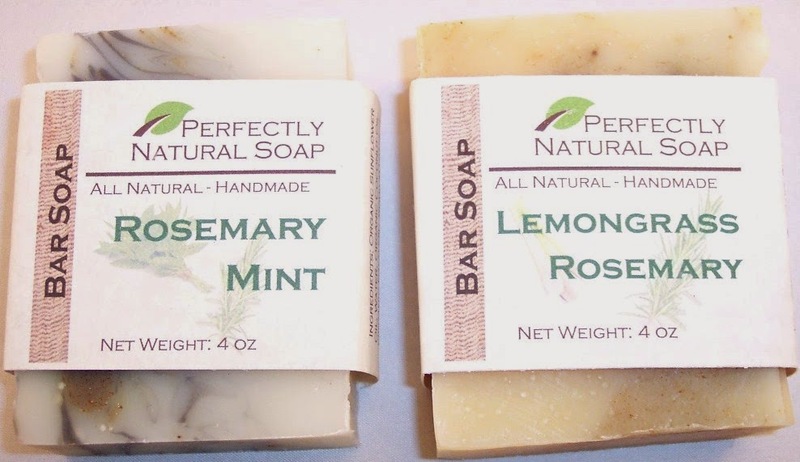 bars of all natural handmade soap from Perfectly Natural Soap. One is Rosemary Mint, which has a nice clean minty scent and the other is Lemongrass Rosemary which has more of a lemony smell than rosemary. These soaps sell for $4.75 apiece on their site but I see that the Lemongrass Rosemary is on sale right now for $3.75. 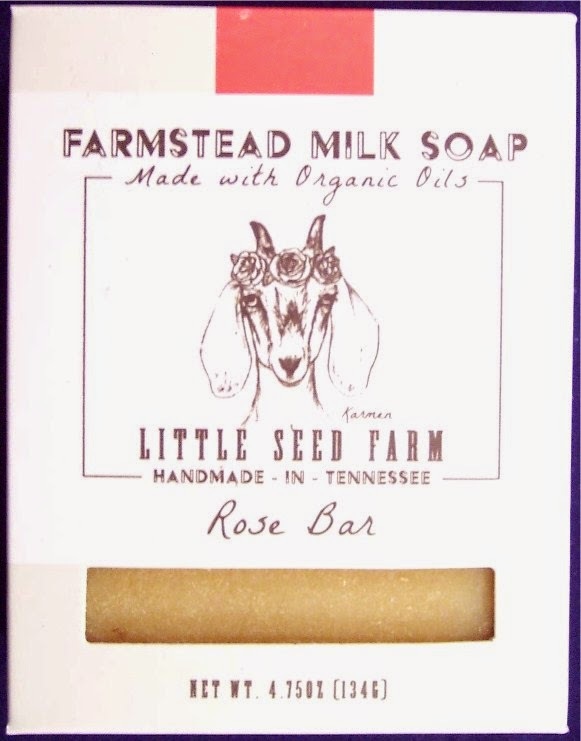 If you're at all familiar with the price of quality handmade soaps, this is a real bargain. Comparable soaps are typically around $6 or $7 each. 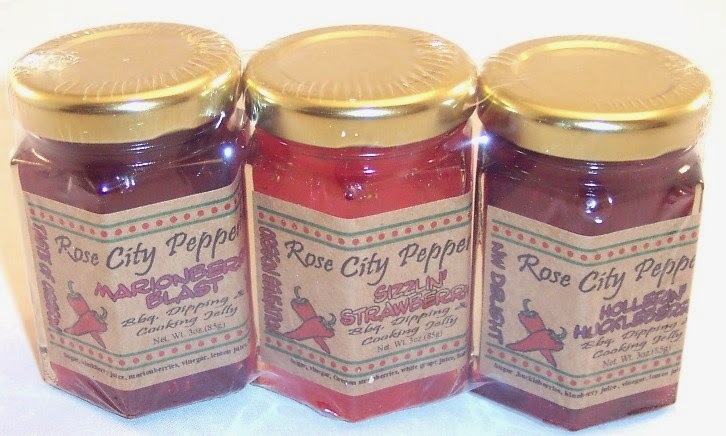 There are lots of other interesting products on their site at very reasonable prices. 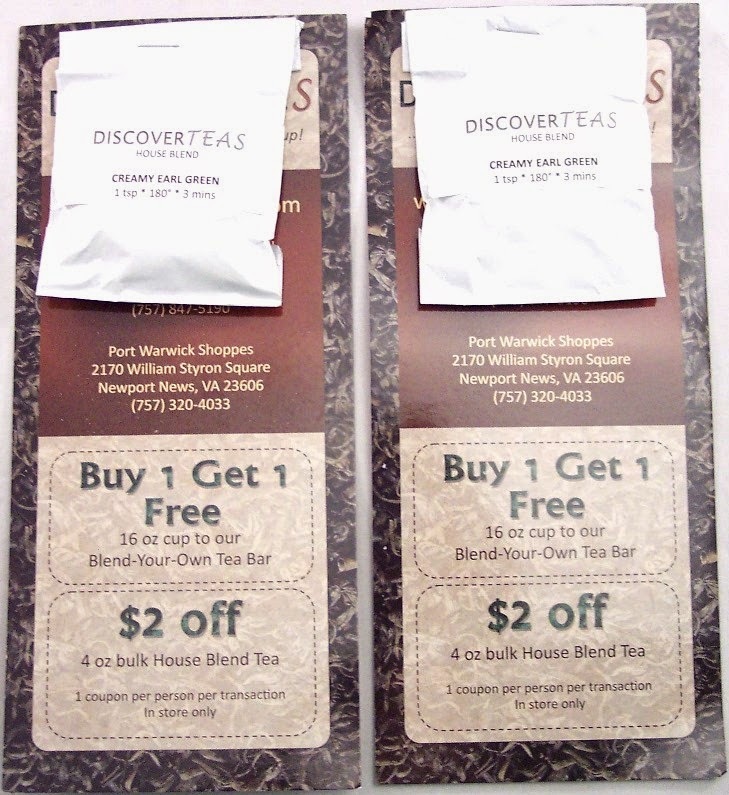 Last are two tea samples from Discover Teas in "Creamy Earl Green" which is described on their site as a blend of "black and green teas with bergamot, vanilla and earthy sencha flavors". You get the benefits of both green tea and black. This looks like a very interesting website with lots and lots of available tea blends and accessories. These samples are attached to coupon cards which unfortunately are only good for in store (Newport News, VA) purchases. Those won't be of much use to most subscribers. In summary, My Community Box is sending out very worrisome signals. The absence of a Facebook page is a big red flag. An even bigger red flag is the complete lack of any way to sign up on their site. (There's not even a mailing list sign-up box on their home page.) If they are relying on potential subscribers to keep checking back to see when their doors are open....well, that is a pretty big gamble. At best, this company may be quietly re-tooling. At worst, they are in shutdown mode. I hope it is the former because I would like to see them thrive and survive. Local vendor subscription boxes can be among the most interesting if the proprietors are creative, energetic and very good at sourcing. The code 757ForLife gets a 25% discount but since there is no way to subscribe at the moment, that really isn't useful information. If you're reading this well after the date of this post, it might be worth checking their site again. Until My Community Box shows signs of resuscitation, unfortunately, I am not able to recommend this subscription. If anyone from My Community Box would like to provide clarification, I'll be glad to update this post. It's rare to run across a subscription box that doesn't have any competition but I think that might be the case with My Bakers Box. At least, I am not aware of any other subscriptions in this category. SporkPack comes the closest but since they send mostly kitchen gadgets and treats, a direct comparison can't be made. My Bakers Box sends fun and unique baking supplies each month that usually follow a seasonal or holiday theme. A box might contain recipes, cupcake supplies, cookie cutters, edible sugar decor, sprinkles, idea cards and other surprise baking items. 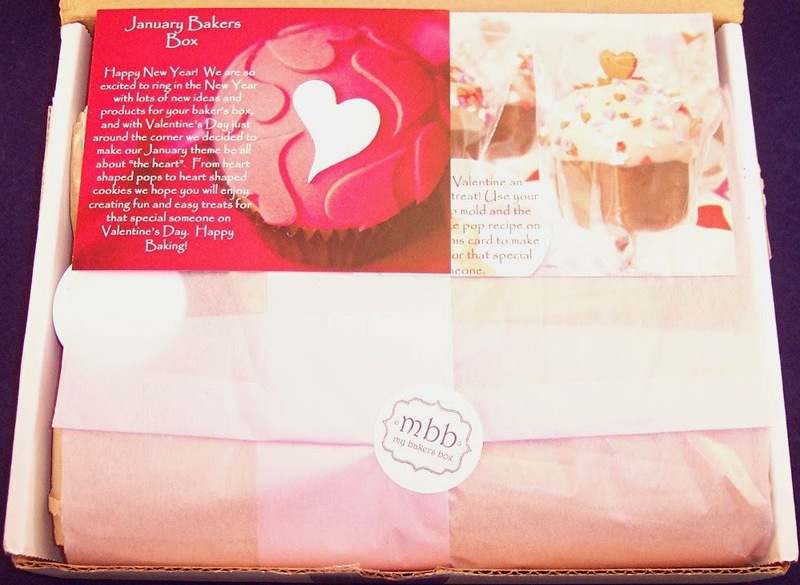 My Bakers Box offers four subscription plans and four gift box plans. The pricing is the same whether you are subscribing or gifting. Boxes are shipped during the first week of each month. There is no additional charge for shipping. Plans automatically renew and you can cancel at any time. Since I signed up in January, I got the benefit of Valentine's Day inspiration. The goods arrived in a narrow white box that weighs a little less than a pound. The contents were wrapped in pink tissue and sealed with a MBB sticker with a couple of cards on top. One card introduces January's theme "all about the heart" and lists the enclosed items on the other side. 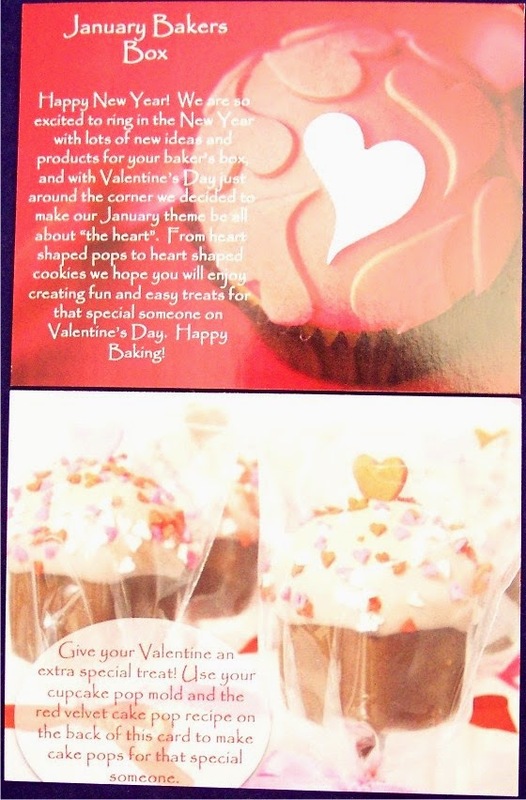 The second card gives an idea suggestion on one side and a recipe for Red Velvet Cake Pops on the other side. I've never really gotten into cake pops. Maybe it's just that the ones I've tried were not very good. The recipe on the card did catch my attention. However, I am confused because the recipe does not call for cake pop molds and there are no instructions on how to use the one included. And....there's just ONE! Wouldn't you need a bunch of them? (The one provided is about 2 inches tall.) Maybe I'm missing something essential here but I just don't get it. 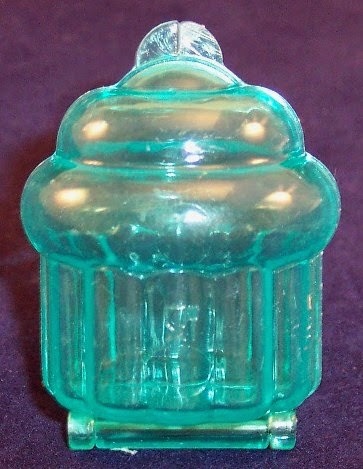 The little blue cake pop mold is cute but with only one, this idea seems completely impractical to me. Somebody please enlighten me if I'm missing the obvious. 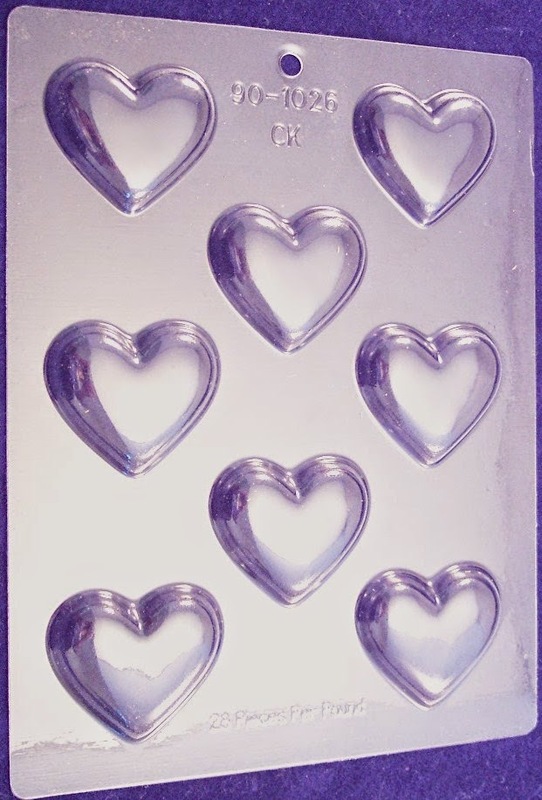 There is a good quality chocolate or candy mold with eight heart shapes, each about 2 inches wide. A recipe on their blog for "Valentine Candy Bark" would make good use of this mold and some of the other supplies from this month's box. If you're interested, here's a link. 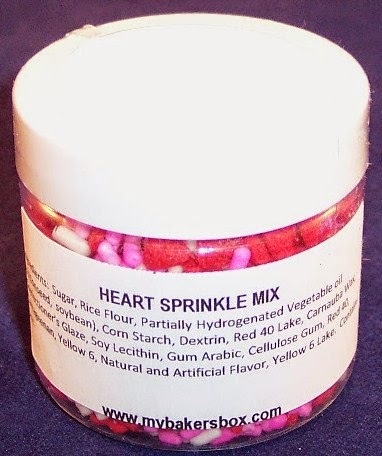 Next is a fun heart sprinkle mix which has pink and white sprinkles plus tiny red hearts. Of course, we need a nice bottle of red food coloring in a shade called "Super Red". This one is the gel paste type, rather than a liquid. I have never seen pink food coloring before so was really glad to get this one which is called "Dusty Rose". It'll be nice to try a real pink and not just a watered down red. 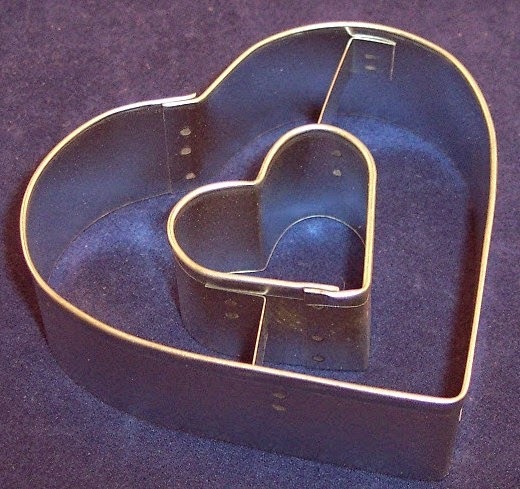 There is a metal heart in heart cookie cutter. (I'm sort of a cookie cutter elitist so was very glad they didn't just toss in one made of cheap plastic.) 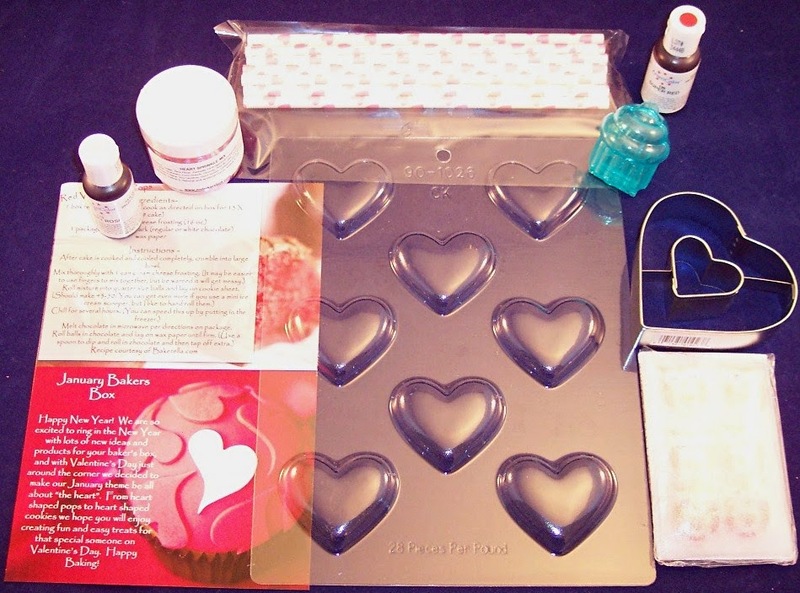 On their blog (mentioned above), there is a recipe for "No Fail Valentine Sugar Cookies" which I intend to make. 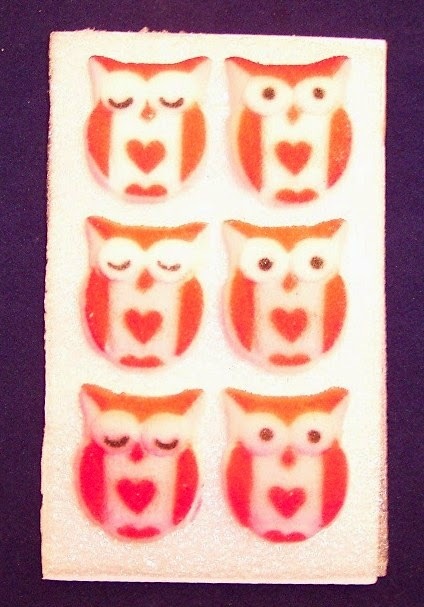 The last item is a small package of owl shaped sugar "Dec Ons" with tiny hearts on them. These each measure about 1-1/8" and are adorable! Since there are only 8, I'll probably try to find a way to use them on top of a cake rather than on cupcakes. I'm pretty happy with my first box from this company. The only thing that's a disappointment is the single cake pop mold and my confusion over what to do with it. All the other items are festive and useful and will add some good holiday inspiration to my baking cabinet. To give My Bakers Box a try, click here. They don't seem to be generous with discount codes or promotions so if this concept interests you, it may be worth your while to pick up one of the longer term subscriptions that do offer significant monthly savings. This is definitely not a high value box but if you love to bake, you'll enjoy it and get a nice boost of seasonal inspiration each month! 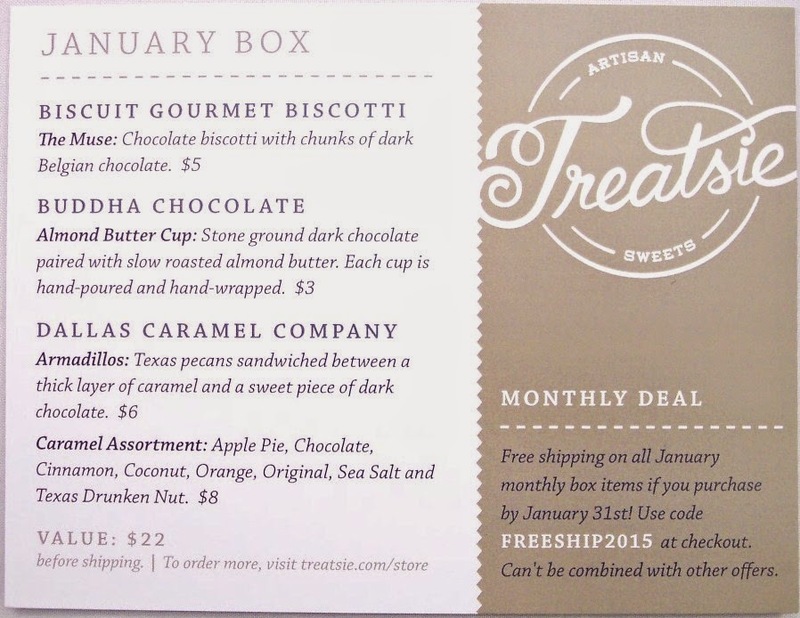 Treatsie Gourmet Sweets Review, January 2015 + Double Sweets or $10 Discount Code! How long has it been since you really indulged your sweet tooth? If it's been too long, never fear....Treatsie to the rescue! They send gourmet sweets from artisan vendors around the country; the kind of treats you'll never find in a big box store. 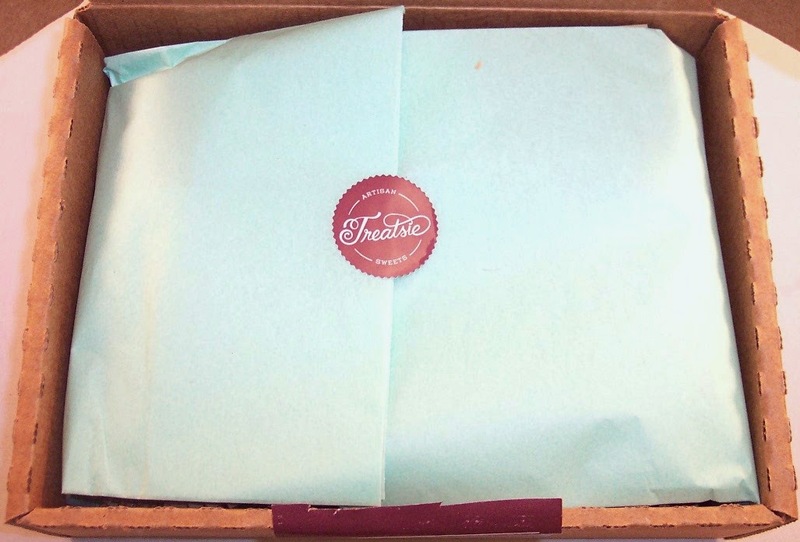 Treatsie boxes feature lots of chocolate and lots of caramel but you'll also find all sorts of other sweetness inside. Three small batch confectioners are featured each month and the retail value of each box is around $25. Treatsie has three pricing plans. There is a $4.95 shipping charge per month. The information card tells about the products and vendors and gives their retail prices. There is also a monthly deal note which is the free shipping promotion that I mentioned above. 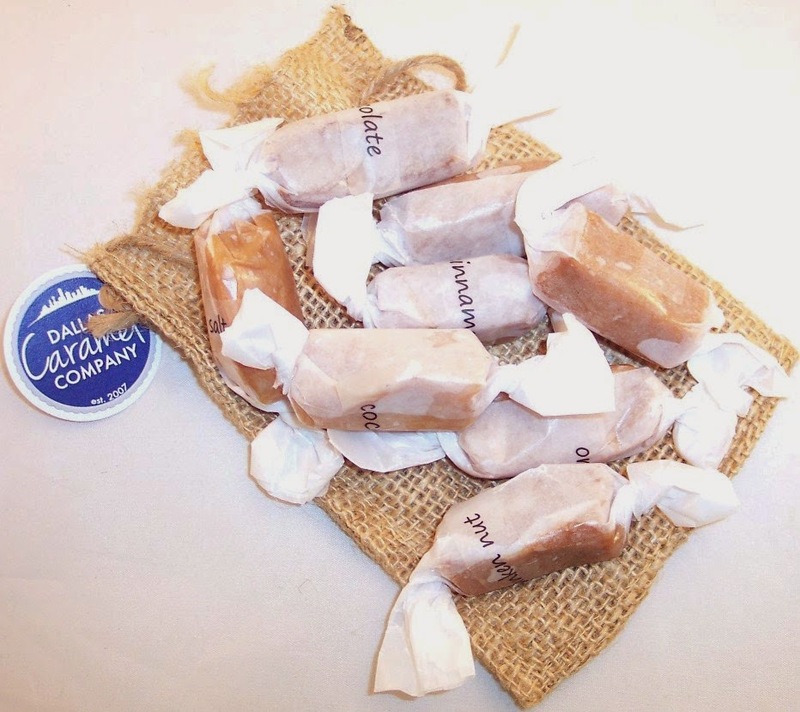 These "Armadillos" from the Dallas Caramel Company just may be the perfect candy. 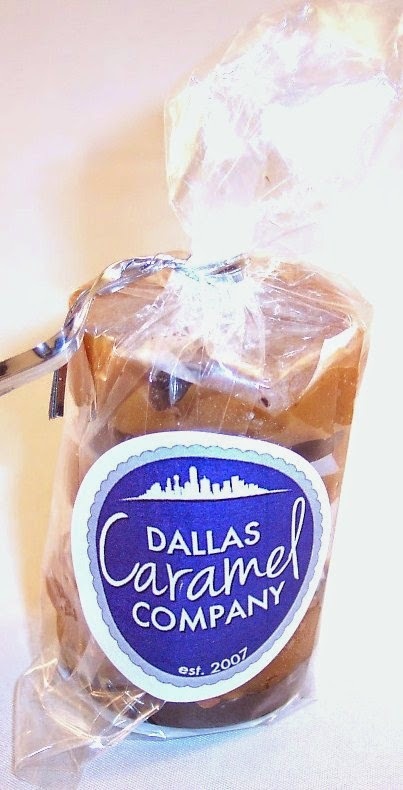 They are described as "Texas pecans sandwiched between a thick layer of caramel and a sweet piece of dark chocolate". The concept is similar to Pangburn's Millionaires or Demet's Turtles but the quality and decadent taste is SO much better. Yes, I have ordered more. No, I don't feel guilty about it. 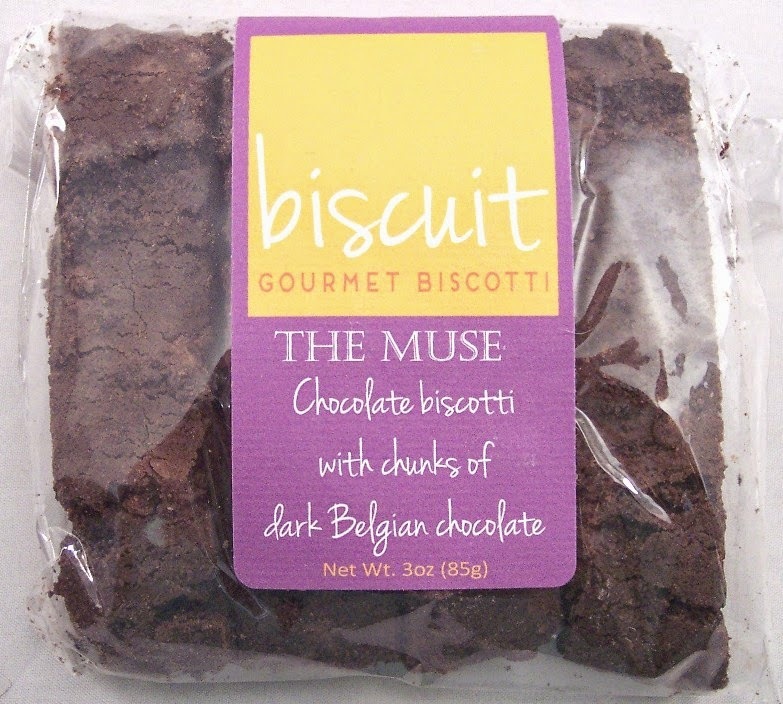 Next is a package of Biscuit Gourmet Biscotti in "The Muse" which is chocolate biscotti with chunks of dark Belgian chocolate. 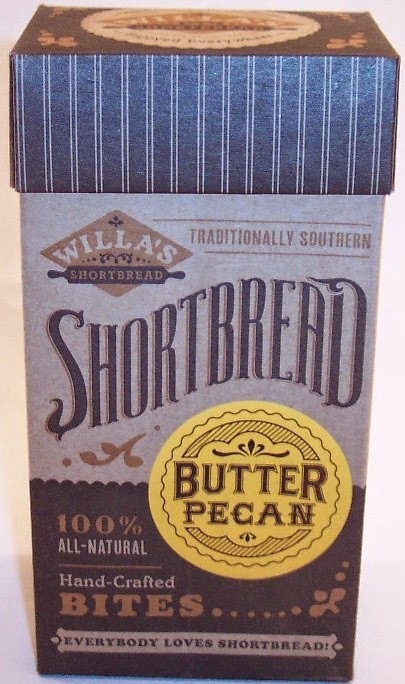 I haven't tried these yet but I've had other biscotti from this company and they are absolutely wonderful. I don't know how you could improve much on this flavor combination. As you may know, Treatsie had a lot of problems shipping chocolate during the heat of last summer. Their boxes had to be shipped inside huge refrigerated and padded packages. Even with that elaborate precaution, lots of melted chocolate arrived. I'm guessing the expensive packaging plus the replacement shipments that were necessary may mean that we'll get far less chocolate during future summer months. Reason enough to subscribe now! If you're interested in trying Treatsie, click here and use code FRBUCO01 or FBDOUBLESWEETS to get double the sweets (over $40 total value) in your first box. Or, you can use code WELCOME44 to get $10 off your first month. By the way, when you sign up, Treatsie gives you an option to indicate your taste preference for milk chocolate, dark chocolate, coffee/espresso or any combination of those. 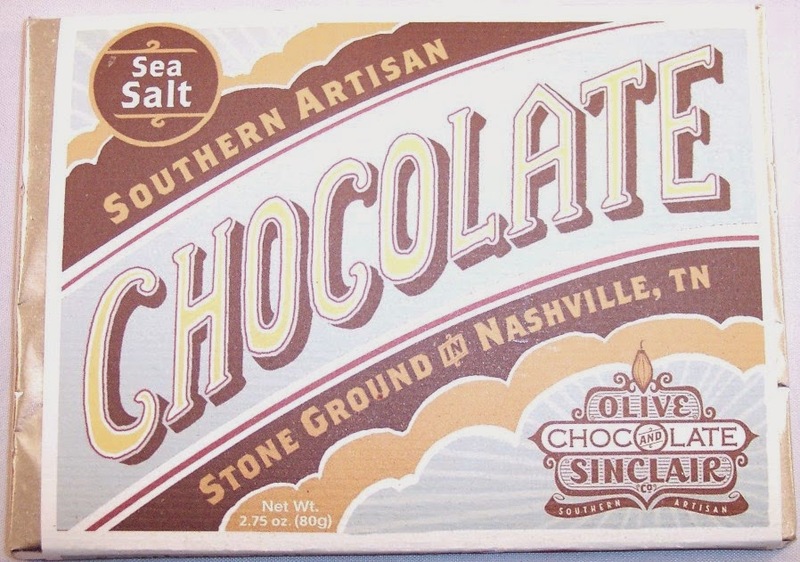 This was not available when I first signed up which meant I sometimes got stuck with milk chocolate, which I do not like. Since many people have a strong preference when it comes to chocolate, I'm really glad to see this important bit of customization added. Might be time for a nap since I'm pretty much in a chocolate coma now! 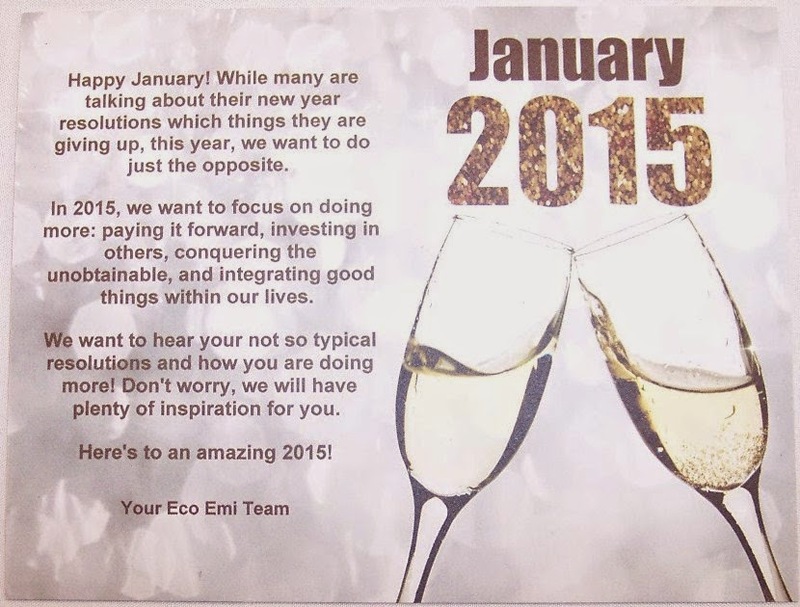 Eco Emi Earth Friendly Products, Variety Box Review, January 2015! In the eco-friendly subscription box category, Eco Emi has probably been around the longest. 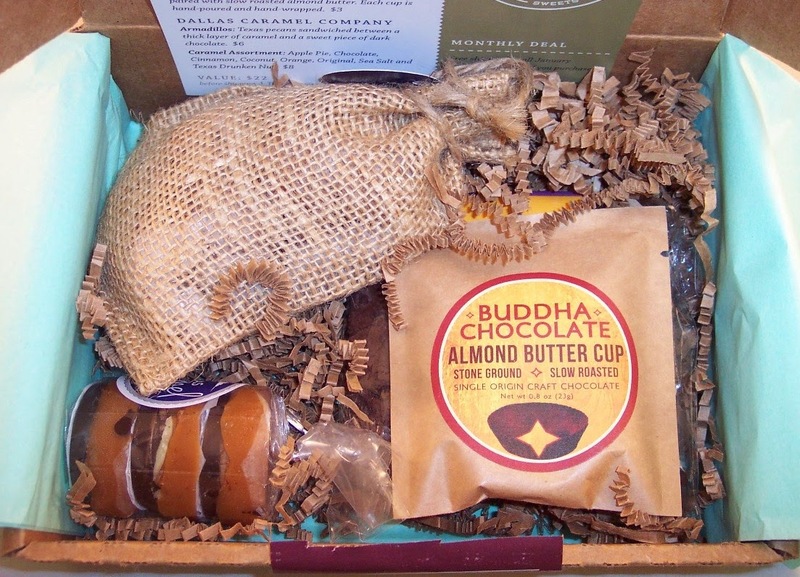 They send a small box each month filled with eco-friendly, vegetarian, all-natural, animal conscious and free trade products. 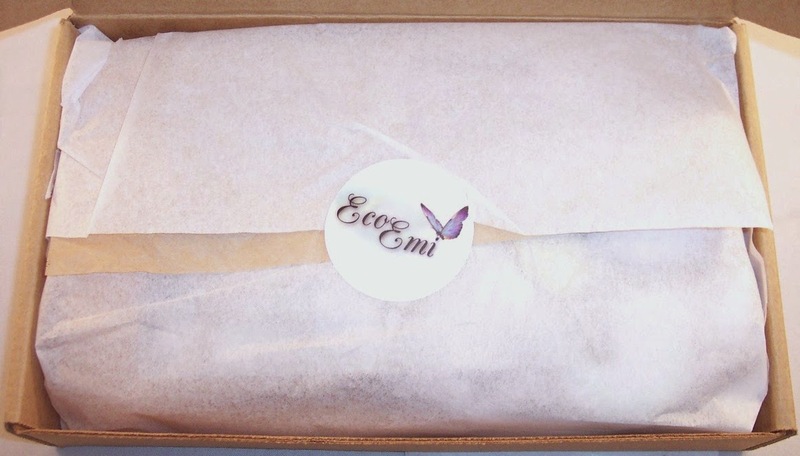 Opening an Eco Emi box usually feels like getting a birthday present since many of the items are meticulously packaged in tiny bags or individually wrapped in tissue paper. Most of the items are sample or luxury sample sizes but they sometimes manage to fit in full size items. There is always a lot crammed into that little box! If you just want to try Eco Emi one time, they also have Custom Variety Boxes in two sizes. You can choose 4 products for $10 or 20 products for $35. A Custom Beauty Box containing six full size products is $60. For the Custom boxes, you can choose exactly which products you want included. 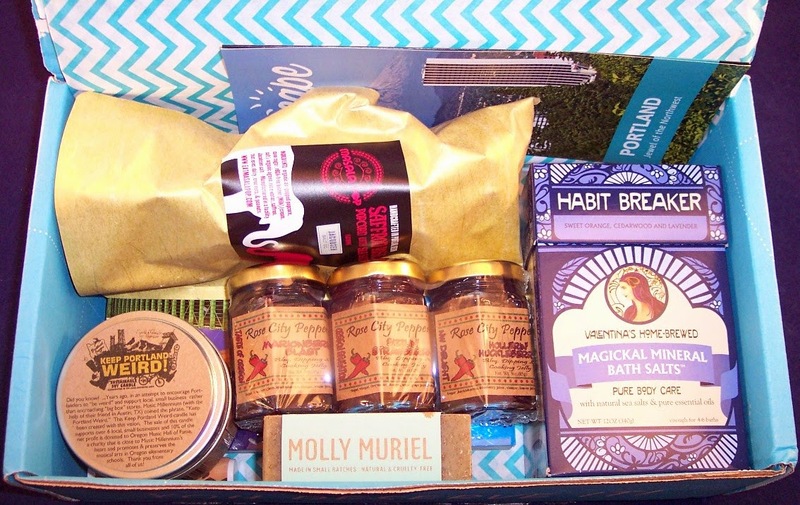 January's box was packed with interesting products many of which were individually wrapped. The items were all packaged in tissue fastened with an Eco Emi seal. 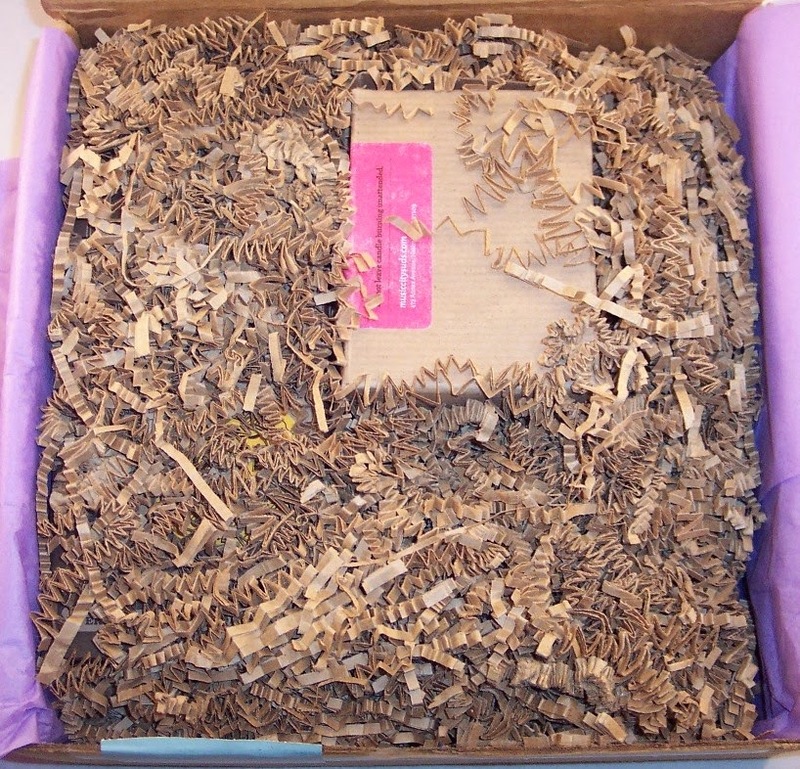 This "exploded" photo shows some of the items in their individual packaging. Right on top was the January welcome and information card which contains lots of detail and retail prices on the back. This box actually has four full size products and four sample sizes. 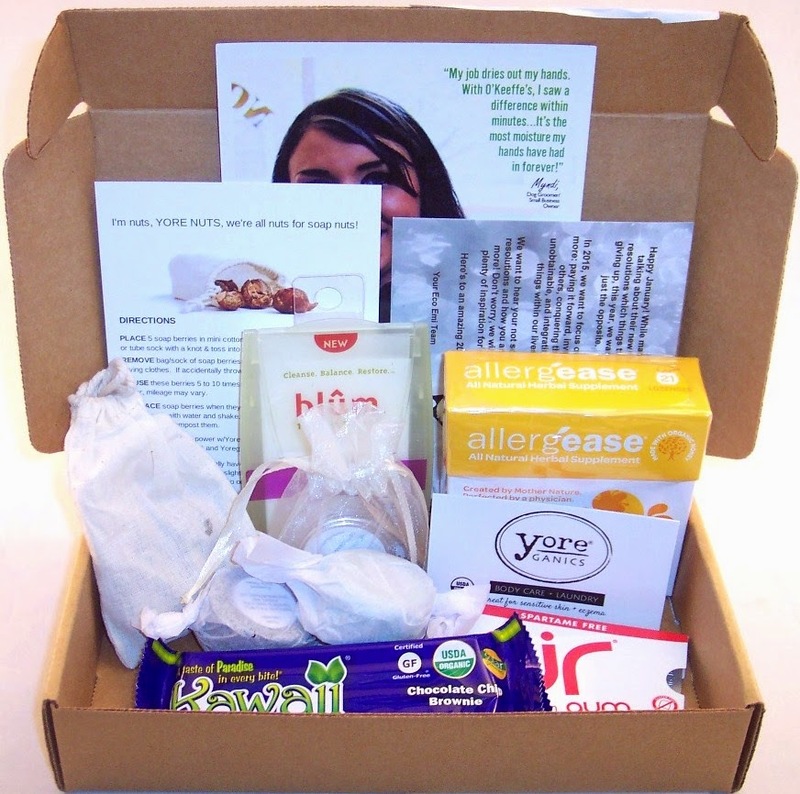 First is a box of all natural herbal supplements for promoting a healthy immune system. 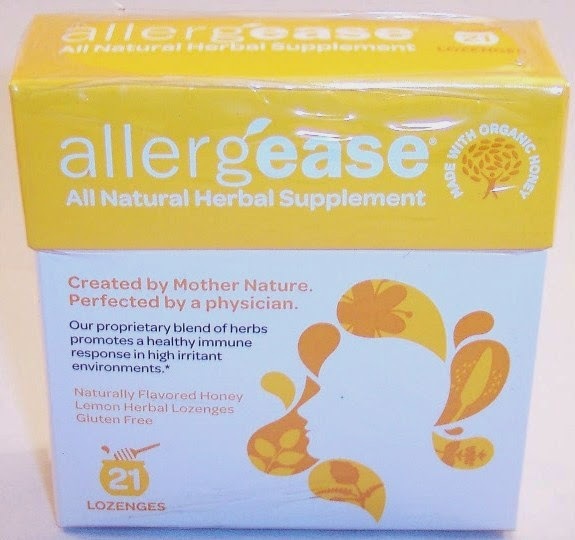 These are called Allergease and the box contains 21 lozenges. I don't think I've ever encountered an allergy remedy in lozenge form. These do not have the usual allergy medication side effects of drowsiness so if they work to stop a runny nose and sneezing, I'm in! 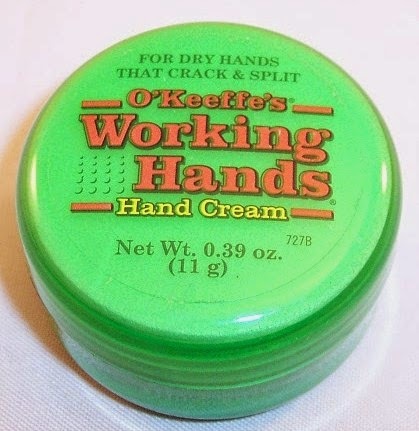 Next is this small green pot of O'Keeffe's Working Hands which is a cream for severely dry hands and skin. Although we are having quite a warm winter (so far) here in Texas, the dry air is still wreaking havoc on my skin so I am constantly looking for highly emollient creams. 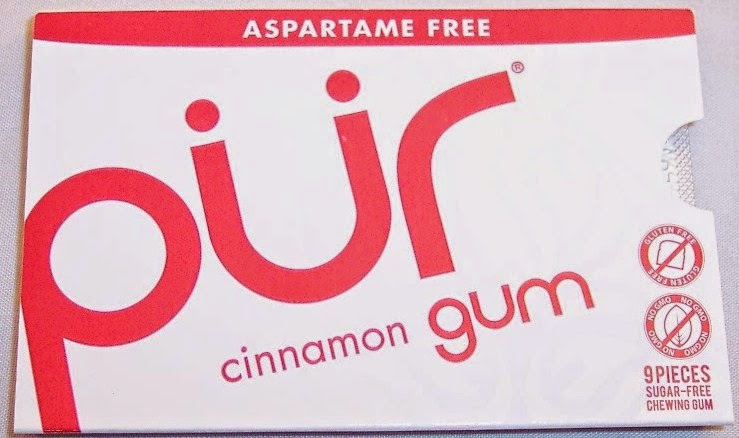 I am not a gum chewer but they've included a package of Pur Cinnamon Gum which is aspartame-free, vegan, gluten-free, non-GMO, nut-free, celiac & diabetic friendly. But will it rotate the tires on my car? 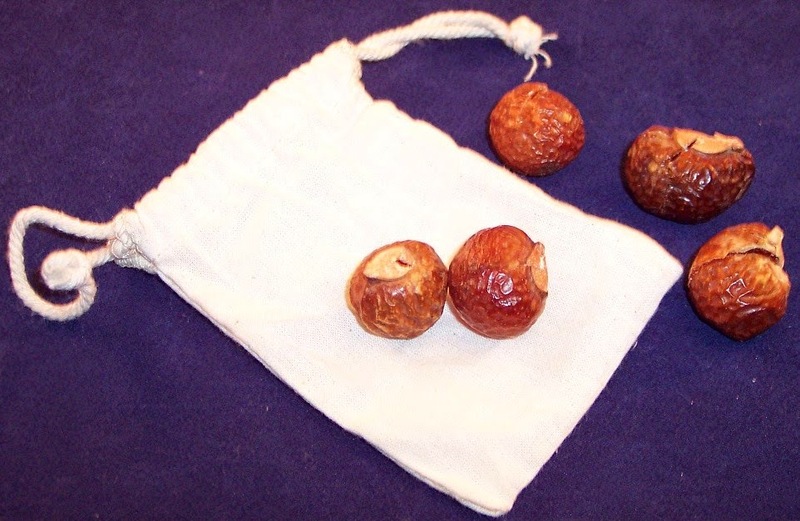 Soap Nuts (or soap berries) have been a "thing" for quite a while now. I've received them in other sub boxes and am on the fence. You just toss a couple in with your wash and theoretically they clean, soften and remove odors from your laundry. I have found them to not be strong enough on their own so I toss one or two in with regular detergent. Totally defeats the "all natural" purpose, I know....but I want clean laundry! 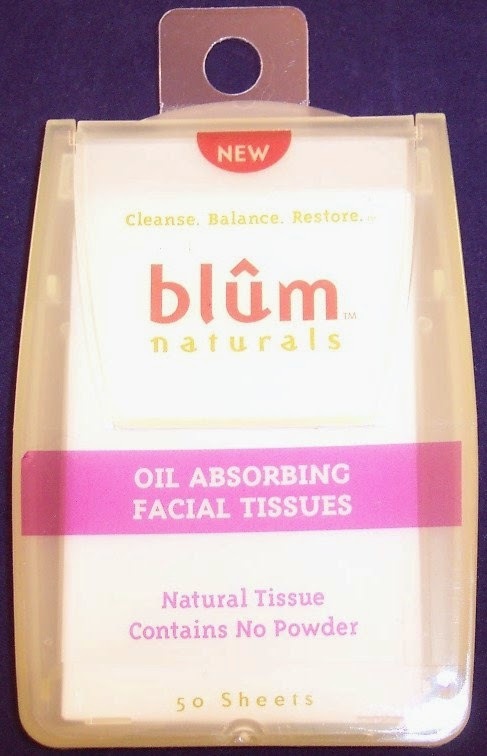 This is a full size container of Oil Absorbing Facial Tissues from Blum Naturals. They soak up excess oil and remove shine from your face without disturbing makeup. This small packet contains 50 sheets and is easy to slip in your purse. The next product arrived in a tiny organza bag with a wooden spatula. 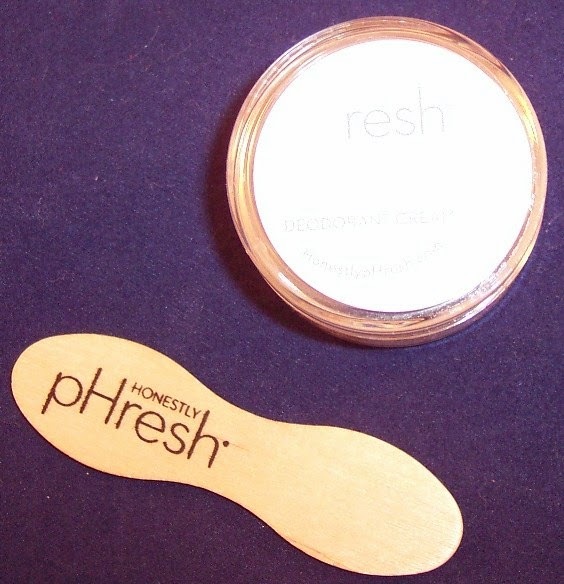 This is an unscented deodorant cream from pHresh. This contains aloe vera and does not leave a residue. But application with a tiny wooden spatula? I think not. I was surprised and pleased to get a beauty product in this box. 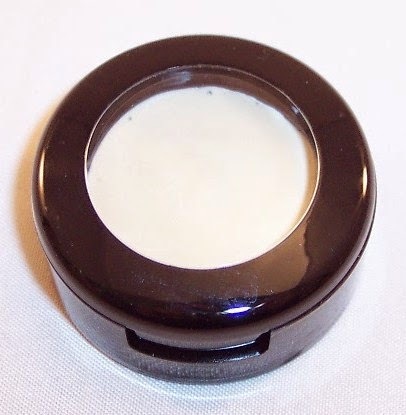 This little pot contains a cream concealer from Gourmet Body Treats. This is in a neutral tone that will probably blend in to match any skin tone. This retails for $24.99 and although it's a small amount, I expect that it will last a long time as most concealers do. Anything labeled "Chocolate Chip Brownie" is welcome in my house! This nutrition bar from Kawaii is made of cold-processed, raw superfoods to help in achieving optimal health and well-being. That description sorta dampens my taste expectations but we'll see. 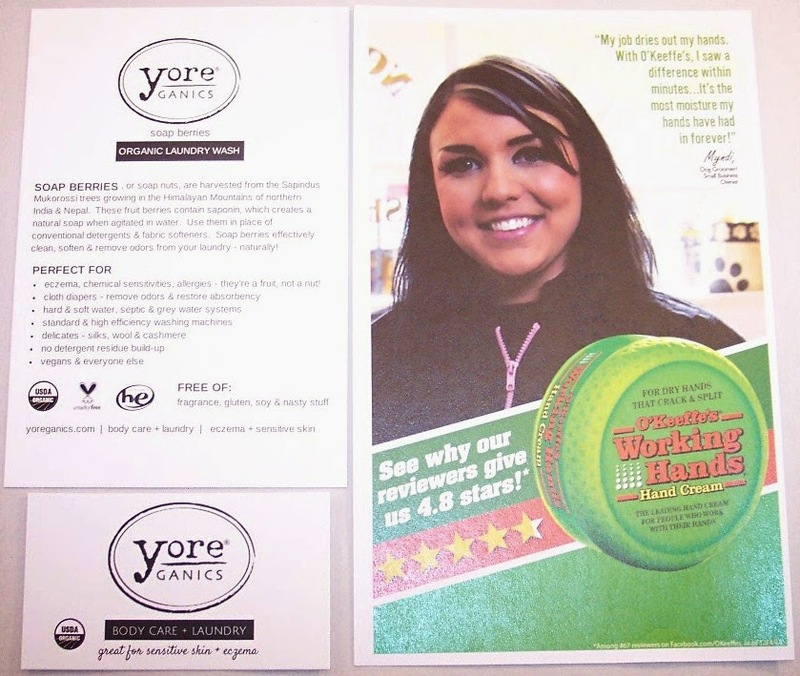 Two vendor information cards further explain the benefits of the O'Keeffe's Working Hands cream and the soap berries which are from Yoreganics. This card says to put 5 soap berries in the included muslin bag, then toss into the washing machine. So, maybe I have not been using enough? They can be re-used 5 to 10 times, which is also news to me. Yoreganics has provided a discount code for purchases on their site. If you're interested, use code YORESPECIAL to get $5 off a purchase of $30 or more. My favorite product in this box is definitely the cream concealer. I'm always trying new ones in the hope of finding perfect blendability, coverage and skin tone match. I'm intrigued enough with the new information regarding the soap berries to give them another shot. And Chocolate Chip Brownie? Do I really need to say anything more about that? I rarely see promotion codes for Eco Emi but if you're interested in exploring green living products and want to give them a try, I recommend starting off with the three month Variety Box subscription at $14 a month. That's long enough to give them a good trial run and you'll definitely get your money's worth. Escape Monthly (Portland) Review, January 2015 + 20% Discount Code! The Pacific Northwest is a part of this country that is pretty much unexplored by me. I've been to Oregon and Washington but usually just for a brief visit or on my way to somewhere else, like Alaska or Canada. So I was really intrigued when Escape Monthly decided to focus on Portland for their January box. Popcorn is always a good thing to include in a subscription box as far as I'm concerned. 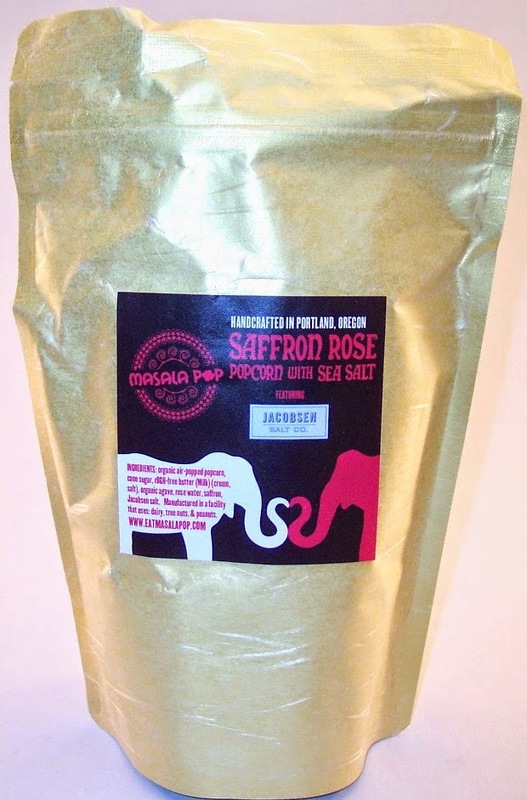 This is a bag of Saffron Rose Popcorn with Jacobsen Salt from Masala Pop. I didn't know what to expect from that name (a floral taste maybe?) but it's just good popcorn with a slightly sweet coating...nothing too strange. It is flavored with rose water and saffron but those tastes are almost undetectable. 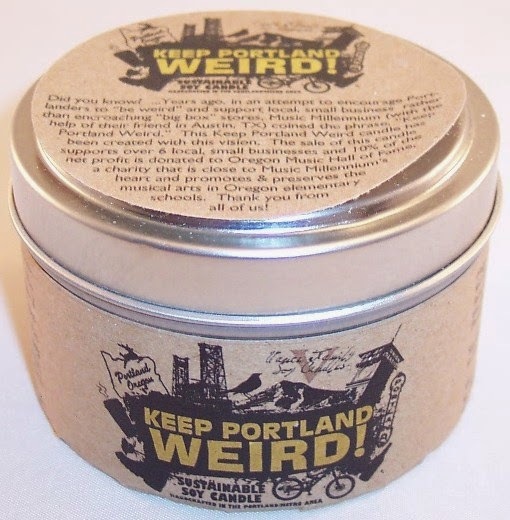 "Keep Portland Weird" is the name of this candle from Vance Family Soy Candles. The scent IS a little weird; it's an interesting mix of orange, patchouli, coconut, spices and lemongrass. I would say the orange and lemongrass are the dominant scents in this one. Like popcorn, candles are always welcome in my subscription boxes! When I opened this box, a wonderful minty scent emerged. 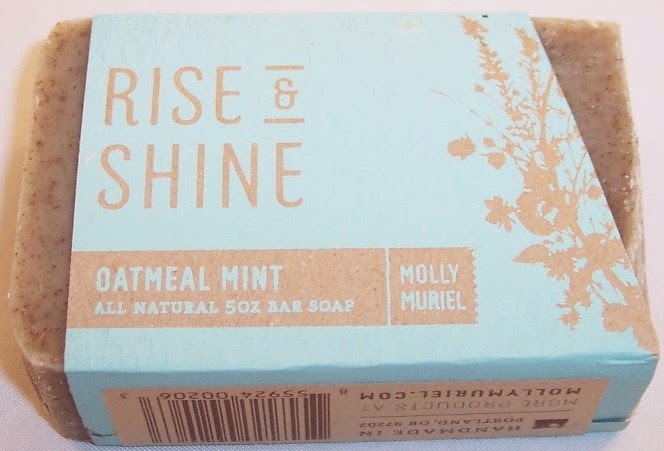 The responsible product was this bar of Rise and Shine soap in Oatmeal Mint from Molly Muriel. I really like the scent of this but it is not the one mentioned in the brochure, which was "Warm & Woodsy". I checked the Molly Muriel site and found not only that one but many other lovely products as well. I see a Molly Muriel order in my near future! I love bath products in subscription boxes! This one contains a 12 oz. 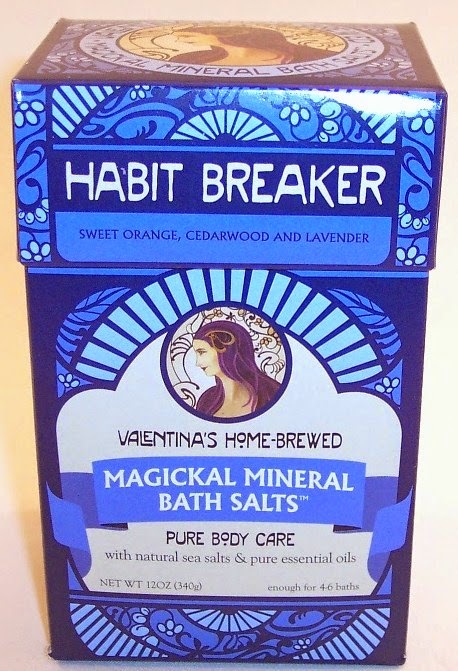 box of "Magickal Mineral Bath Salts" with natural sea salts and pure essential oils from Habit Breaker. 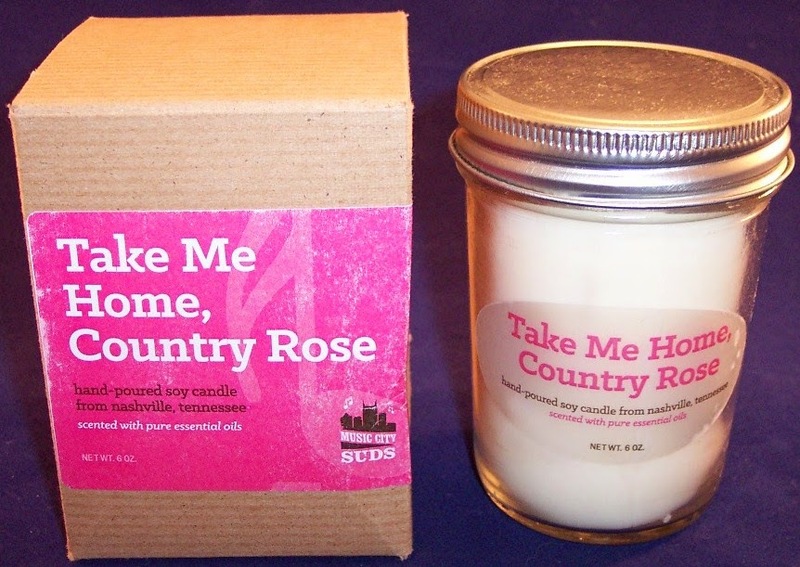 This one is in the scent "Sweet Orange, Cedarwood and Lavender". These are "specially crafted to help beat your bad habits"! Yep, that's what it says. If it works, I'll be ordering buckets of this stuff. 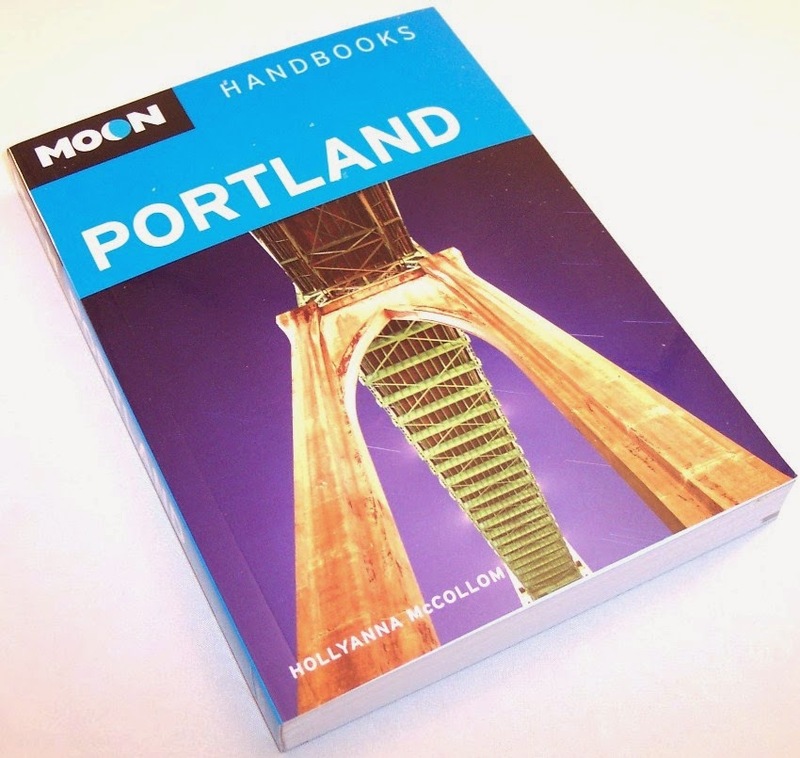 The travel book in this box is a Moon Handbook for Portland. This is the quintessential city guide with 258 pages of information on hotels, restaurants, sights, activities, the arts, shopping, etc. These Moon books are so tempting; it's hard not to go reserve my flight right now! The bonus item in this box is a nicely scented lip balm from Portland Bee Balm in "Oregon Mint, which is a blend of organic coconut, olive oil and just a hint of peppermint oil. This is quite moisturizing and the scent is light and refreshing. Bravo Escape Monthly! Every item in this box is useful and/or enjoyable. I particularly like the inclusion of the bath salts, soap and candle but all of these were great choices. The box must be a total success when you're inspired to actually consider a trip to the featured city! The cost of the full size Escape Monthly box is $49.95 but you can use code NASHVILLE to get 20% off for the life of your subscription. That means the monthly cost is $39.95 for as long as you keep your subscription. The average retail value per box is around $100 so you always get well over what you paid. There is also a smaller version of the box called Escape Mini. It is half the size of the regular box and contains 4 or 5 products plus the brochure. The Mini does not include the travel book. Cost is $24.95 per month. As you might have guessed, Escape Monthly's next destination is Nashville. There's no telling what the box will include but since Nashville is known for music, I'm guessing that's a pretty good clue!